Greg Williams’ became GCI President in October 2018. Greg completed his doctorate of ministry from Drew Universtiy in May 2014. 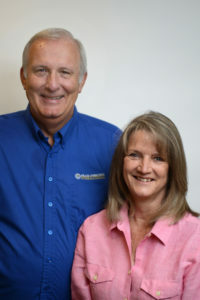 Greg currently serves on the Grace Communion International Board of Directors. As well as the National Association of Evangelicals (NAE) Board of Directors. Founded in 1942, the National Association of Evangelicals seeks to honor God by connecting and representing evangelical Christians in the United States. It represents more than 45,000 local churches from 40 different denominations and serves a constituency of millions. His pastoral ministry within GCI launched in 1986 when he was ordained, with his wife Susan by his side. Together they faithfully served our fellowship and raised their three sons: Glenn, Garrett and Gatlin. After raising three boys, Susan was pleased to add female voices and input to the family when the twins married—Glenn to Crystal and Garrett to Marlo. Greg and Susan are now grandparents to Emory, and twin brother and sister Braxton and Ellison. In looking back, Greg says he realizes his preparation for his current role has been a learning process through a variety of leadership roles throughout his career. Within GCI Greg has served as a Pastor, a Festival Coordinator, GenMin National Coordinator, Intern Program Coordinator, and Regional Pastor. In addition, for 10 years Greg worked with Youth for Christ, which is an international para-church youth ministry organization. Greg expressed the value of that experience, “I was exposed to cross-denominational ministry and was actively engaged in youth evangelism. I remained connected to and active in GCI during that time, however, I gained rich experience that helped shape me for the roles I am now filling in GCI.” Greg’s knowledge has been deepened educationally, as well as earning a B.A. from Ambassador College, M.A. from Liberty University, and D. Min from Drew University, centering his thesis on cultivating interns for Christian ministry. When asked what he enjoys most about being part of GCI, Greg said, “The national and international relationships of some of the most interesting, loving and diverse people across God’s green earth. As Joseph Tkach Sr. often said, ‘We are family!’ And I love the GCI family.” Greg’s value of relationship and community shapes his leadership style “I refuse to engage in the mission Jesus has given us apart from the company of others, and I am pleased with the amazing people that God has placed on our team. Mathew Morgan, MBA, serves as Treasurer and Chief Financial Officer of both Grace Communion International and Grace Communion Seminary where he is responsible for overseeing the financial, legal, accounting, human resources, IT, and facilities departments. He also serves as a Director and Secretary of the GCI Board. Mat was born in rural Montana and spent his early years in Montana and South Dakota before moving to California to attend Ambassador College. There he met and married Pam, the love of his life. 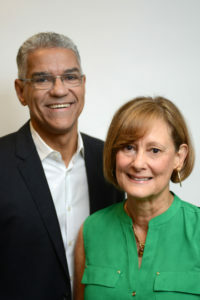 During their 28 years together they have been blessed with two children, Mathew (now a financial consultant) and Jessica (now an elementary school teacher). Mat credits his parents, Richard and Edythe, for introducing him to God and church work. “Because of their desire to serve God and others, the Morgan house was always open for guests or even animals who needed help.” Richard and Edythe joined WCG when Mat was about five years old. In those early years, the family drove 250 miles each way to the nearest congregation or Bible study, either in Great Falls, MT, or Spokane, WA, depending on which direction had the better weather that day. 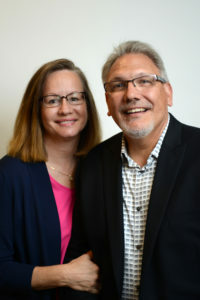 Joseph Tkach has served in the denomination as an ordained minister since 1976 and previously served in the role of denominational president from 1995 to 2018. He has co-pastored congregations in Detroit, Michigan; Phoenix, Arizona, as well as Pasadena and Santa Barbara-San Luis Obispo, California. Dr. Tkach’s education includes attendance at Ambassador College from 1969 to 1973, where he received his Bachelor of Arts degree in theology. He received a Masters Degree in Business Administration from Western International University in Phoenix, Arizona in 1984. He received a Doctor of Ministry degree from Azusa Pacific University in Azusa, California, in May 2000. Christian growth, proclamation and unity are of utmost importance to Dr. Tkach. He attends yearly regional and international conferences with leaders of the Grace Communion International to encourage Christian growth, share ideas, motivate and discuss the church’s goals for the upcoming year. Dr. Russell Duke currently serves as the Vice Chairman of the GCI board. During his decades of tenure with the organization, he has faithfully served GCI in a variety of roles: member, teacher, pastor, and administrator. He also served as President and professor in Grace Communion Seminary, GCI’s graduate school. Russell reflects on how his service in GCI has shaped his relationship with Jesus, “I have grown to know and love God and his leading in the church, as we have always believed in Jesus as our Savior. With major changes in the 90’s to live in the Trinity and the new covenant of Jesus Christ, the focus has shifted in my life from the shadows of the old covenant into the reality in Jesus Christ, fully divine and fully human.” The willingness to embrace change as led by the Spirit in theology, governance, and practice is what Russell appreciates the most about GCI culture. He treasures the time he has spent in the educational arms of the church, teaching and seeing to the administrative and accreditation issues facing us. 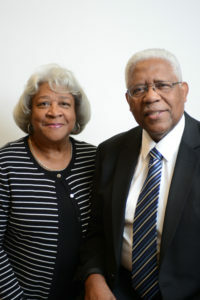 Dr. Charles Fleming has served churches as a pastor in Jamaica, Regional Director for Latin America and the Caribbean, and currently serves as Mission Developer for the Caribbean. Charles says a highlight of his life has been the privilege of living through the remarkable renewal of an entire denomination. This has left him with a strong sense of just how much God is an active agent for change in our confused and confusing world. The remarkable transformation of a church, moving from extreme legalism to embracing unfathomable grace, has left him with a deep desire to help others know and experience the loving presence of the Triune God of grace. He sees our denomination as one of God’s ministries for doing just that. Franklin “Frank” Guice is a longtime member & leader within our denomination. He feels it has been a life blessing to journey with others through the learning experience of the Worldwide Church of God and now Grace Communion International. He has been blessed to serve as a deacon and elder in our fellowship. Frank was selected to serve on the Ambassador College/University Board prior to serving on the GCI Board. He says it is an ongoing joy to worship with and serve in our worldwide fellowship, including his home congregation, New Hope Christian Fellowship, in Los Angeles. He appreciates his physical and spiritual families, realizing how much love there is in GCI when many brothers and sisters around the world prayed for him after learning of his illness many years ago through a prayer request in GCI Weekly Update. Celestine “Cella” Olive was ordained a deaconess in 1991. Over the many years of her membership she has served on the Pastoral Advisory Council for three pastors, and for seven of those years served as Church Treasurer. She was ordained an elder in 2007 and commissioned as an Assistant Pastor in New Hope Christian Fellowship in Eagle Rock, CA, where she served until April of 2018. Cella has enjoyed being involved in music most of her life, having studied piano and voice with both private and university instructors. She served as the Director of Music and Worship Arts Ministry at New Hope and conducted the New Hope Praise Choir for 18 years. Celestine began working for GCI full-time in various capacities in 1996. She retired from the Accounting Department in April 2018. 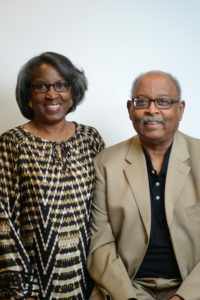 She and her husband relocated upon retirement to the Lancaster, CA area where they currently attend and serve in the GCI Desert Oasis Community Church. 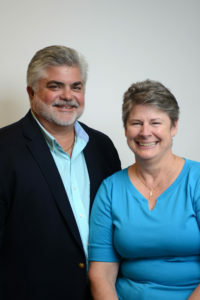 Greg Williams’ became GCI President in October 2018. His pastoral ministry within GCI launched in 1986 when he was ordained, with his wife Susan by his side. Together they faithfully served our fellowship and raised their three sons: Glenn, Garrett and Gatlin. After raising three boys, Susan was pleased to add female voices and input to the family when the twins married—Glenn to Crystal and Garrett to Marlo. 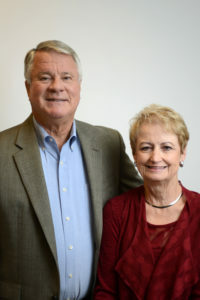 Greg and Susan are now grandparents to Emory, and twin brother and sister Braxton and Ellison. Our churches operate under a team-based and pastor- led model that reflects the God we believe in. The Father does nothing without the Son, and the Spirit, and vice versa. This system is one of protection and growth. A team creates a network of checks and balances, a wide array of gifting, and the critical ability to share burdens and workload. Being pastor-led provides clarity, direction, and focused effort that unites the team as they strive to live and share the gospel. The power of the team is greater capacity and the beautiful experience of the body working together. The power of the pastor is oversight of the vision and the purpose of the local church. Just as teams within congregations are led by pastors, GCI pastors are provided oversight from a regionally-based supervisor called a Regional Pastor. The Regional Pastor is a field representative of a greater home office team that provides operational services including ecclesiastical oversight, developmental training, and legal and human resource support. We strive to be a source of encouragement, supervision and cooperation and to reflect the servant-leadership qualities of Jesus. At our organization’s home office, a team of devoted staff carries out support roles for our local leaders and congregations, all around the world.